soooo happy to hear this!... fairness for the actual runners!.. finally :) so excited and cant' SeaWheeze cannot come fast enough.. Looking forward to the whole fun filled weekend !! Yay! I'm glad that they heard us runners and are doing the runners only hours. However, last year I believe everyone in line early was a runner anyway. We're the only ones crazy enough to get up and do stuff like this anyway! Lol! It only took them 4 years to finally get this sorted out. 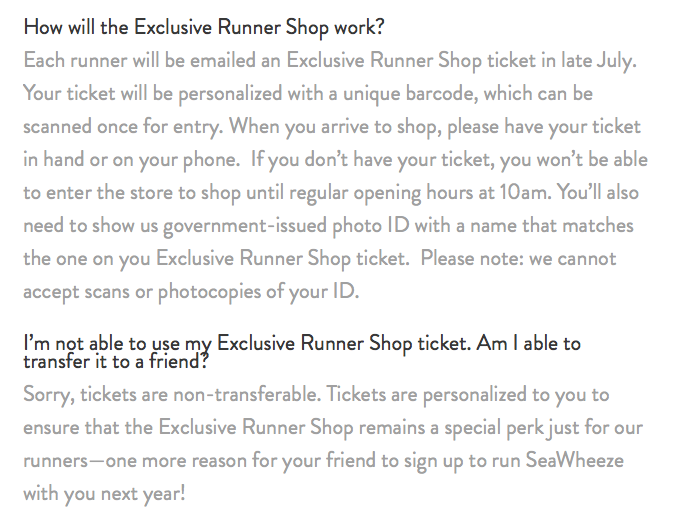 And for certain you will have some runners buying for others or hoarding (even though I know they limit the number of items).